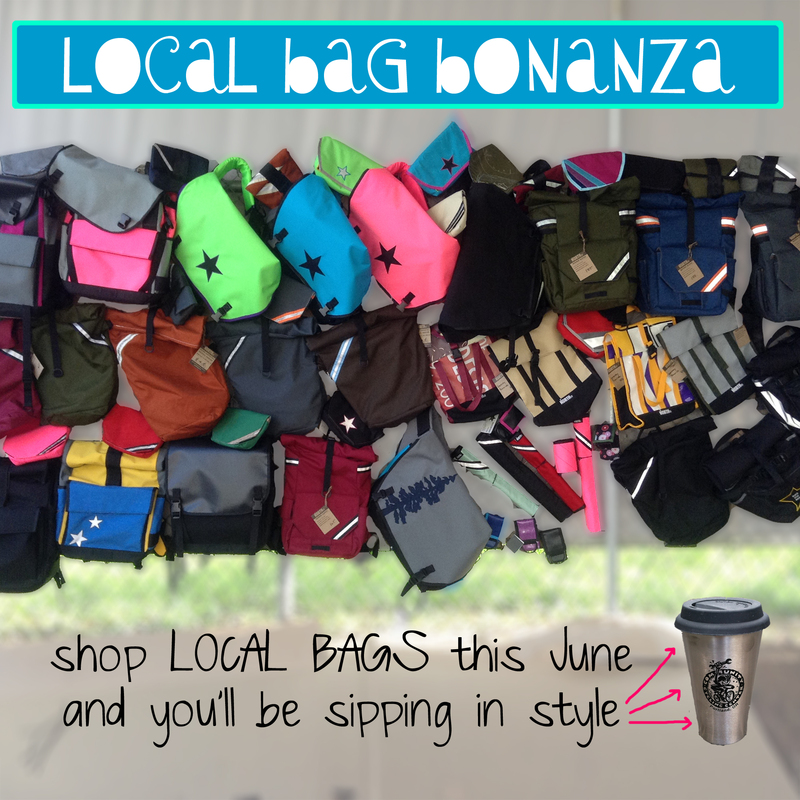 We have stuffed our bike shop to the gills with locally made bags in preparation for your summer bike adventures! 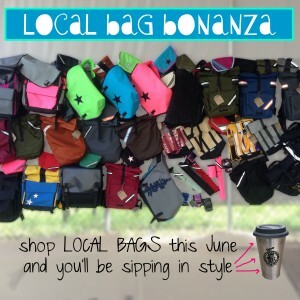 During the month of June, buy any North St. or Black Star bag and we’ll give you FREE Community Cycling Center stainless commuter coffee mug. We’re really excited about all of the new bags we have in stock. In addition to panniers, we now carry backpacks and messenger bags in a variety of colors and styles. Black Star Bags offers Rolltop and Flaptop Backpacks, perfect waterproof cycling bags. North Street now makes a Grocery Pannier made from salvaged materials – perfect for that trip to the market. Stop by to check out the rest of our selection in person.